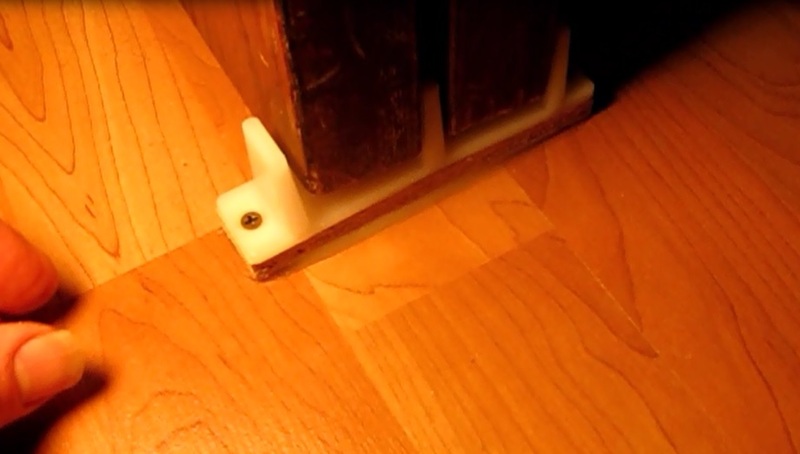 This post reveals a simple and effective way to install closet floor guides on a laminate floor. It is best not to drill into these floating floors. Besides, this method is cleaner and faster. 1) Move both closet doors until they rest against the frame on one end of the closet. 2) While the doors hang freely, slip the floor guides between the doors at the inside end of the doors and flush with the door edge. Bump the doors in or out and let them come to rest. This is the final position of the floor guides. For adjustable guides go to step 3, non adjustable step 4. 3) If the guides are adjustable to door width, adjust them so that their is a bit of free play between the guide edges and doors. 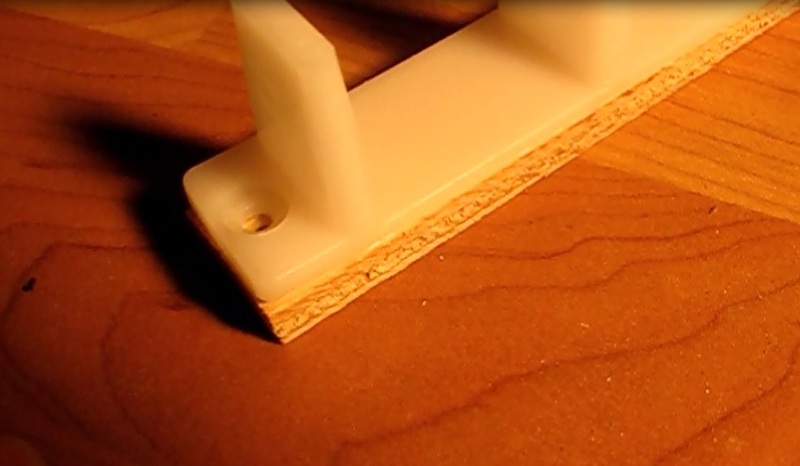 4) If the guides are too low, cut a riser out of a piece of wood (plywood works great) and screw the guides onto it. 5) With a pencil, outline the guides if desired, for precise positioning. 6) Pick up the guides and lay down a bead of caulk over the entire surface, about 1/8" (3mm) thick. 7) Carefully place the guide in place over the pencil outline. Press down until the caulk flows out all around the guide. 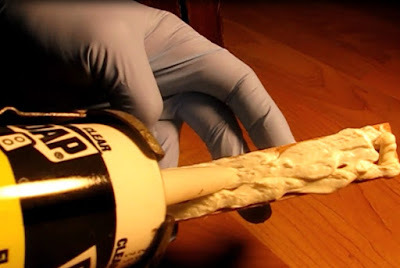 8) Clean off excess caulk with a damp rag. 9) Let the caulk cure for 24 hours before using the door.